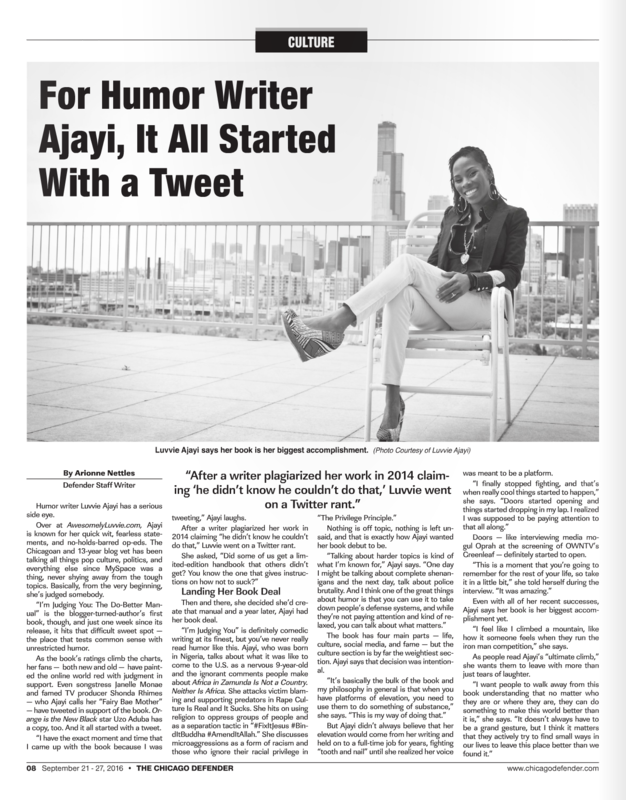 Feature on author Luvvie Ajayi for the Chicago Defender. Read the full piece online here. Copyright Arionne Nettles 2016. All Rights Reserved.